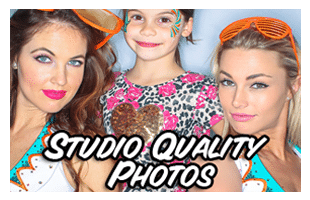 As an established photo booth rental company, licensed and insured since 2005, we promise to provide our customers a fun experience, first-class customer service, and a varied selection of PREMIUM photo booth models. Ask about our Booking Guarantee or our service is FREE. The photographs we produce are the best in the industry (see our photo gallery). After the party, we review your photos and edit them before placing them in the gallery This will insure that you will have spectacular reprints, and they are FREE to download! Our photo strips are 2×6 inches in size and can be personalized with a custom header. The header may be two lines of text, or it can have an elaborate design. Our design team can create anything you can conjure. Don’t like the strip look? No problem. We can also have the photos printed as a 4×6 postcard. 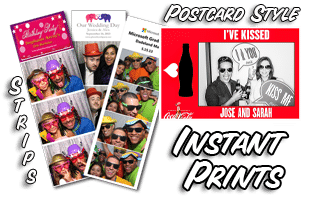 As an exclusive to Photo Booth Party, we will create a unique collage, or poster, of your event on our web blog, Instagram and Twitter pages. This keeps our web blog page fresh and constantly changes with each new event we service. Props are an essential part of the photo booth experience, so we include them at no extra charge. 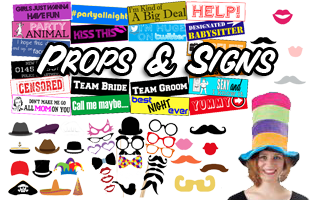 Hats, silly glasses, inflatables, stick mustaches, wigs, and signs – we have them all! Want custom props? Let us know. We can special order any props you like. You can also bring your own. Our Green Screen option can make your guests look like they are standing in any part of the world, or we can apply any background theme you like. 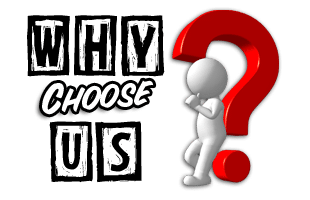 We have hundreds to choose from so the possibilities are endless! 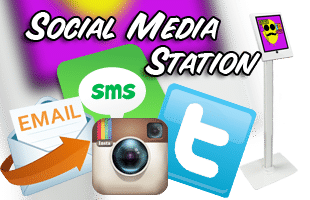 If you would like to use full social media integration and not slow down the photo booth line, then add a Social Media Station to your order. Guests can send their photos to their mobile devices and all the major social media outlets without hindering the creative spirit and photo-taking fun at the booth. Don’t forget to check out some of our reviews in our "ABOUT" section and read what previous clients have said about us. Follow our blog from our home page and Facebook to gauge our popularity. We have thousands of fans on Facebook. 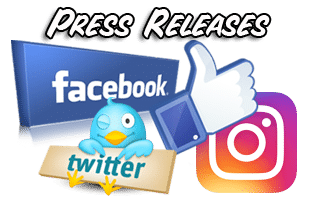 After your event, we will publish your Event Poster in all the major social media outlets to let the world know how much fun everyone had at your event. 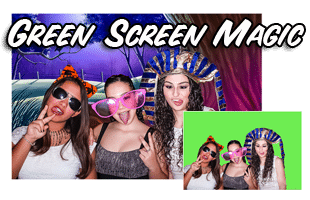 Explore fun and creativity with photo booth rental in Miami! With Photo Booth Party, you can create breathtaking photo experiences by choosing from a wide range of photo booths for your occasion. We guarantee an ultimate, high-end experience that is backed by superb photo quality and hand-selected props that promote laughter, fun, and hugs. At Photo Booth Party, our focus remains on creating the most authentic and life-like photo booth experiences for you and your guests. Over many years, we have earned the trust of our clients who always come back to us for the most reliable and fun-filled Miami photo booth rental services and corporate photo booth rental in Miami. We understand the precious sentimental value andsuperior quality a photo print can give your family and friends. We print on-site for all our clients, employing only the best dye-sublimation printers on the market. Rest assured we will deliver astonishing and smudge free prints of your special event that will impress your most critical guests. 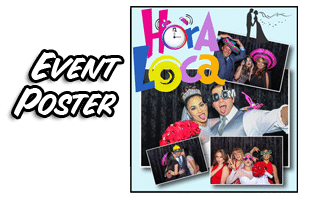 Be it a birthday, wedding, anniversary, corporate event or any other type of social gathering, we promise to deliver a one-of-kind photo booth experience that you will remember for years to come. Your satisfaction is our number one priority, and we leave no stone unturned to ensure that we succeed in that regard. 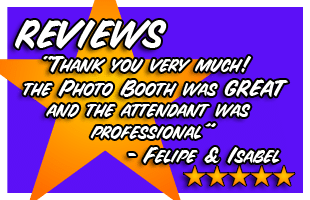 Our attendants are friendly, engaging professionals with hospitality training and our office staff willensure hassle-free, value-centric and affordable Miami photo booths that can be customized for your event. We urge you torefer to our reviews section and read some of the comments left byour clients who choseto comment on their photo booth rental experience. Bottom line - for the most memorable Miami wedding photo booth rental services or any other type you are looking for, you can count on us.